The Walt Disney World International Program is an international internship program sponsored and operated by The Walt Disney Company at the Walt Disney World Resort in Lake Buena Vista, Florida, in the United States. The Walt Disney World International Program recruits participants (18 years and older) from outside the United States for year-long cultural exchanges with paid positions and summer-long paid internships working at the Walt Disney World Resort. This program, which is designed to attract international students and workers, shares many similarities with the U.S. based Walt Disney World College Program and its philosophy of Living, Learning and Earning. The World Showcase Fellowship Program was similar to the Cultural Representative Program but also involved a structured educational program and community involvement. The International Hospitality Program was for those who were fluent in either Japanese, Portuguese, French, or German and were pursuing a career in the Hospitality Industry. Participants were able to experience different work roles all over the Resort. The Waterpark/Sports and Recreation Trainee Program offered a training and development opportunity in Disney's Waterparks and recreation locations for those with a specialized interest in the recreation/leisure industry. The International Culinary Trainee Program was for participants who had 2 to 3 years' experience in the kitchen area of the food-service industry and were looking to develop their skills in one of Disney's food-service locations. The African Cultural Representative Program was set up for African participants working at Disney's Animal Kingdom and/or Disney's Animal Kingdom Lodge and was similar to the Cultural Representative Program. The International Management Program was primarily for those who had completed one of the above programs and were looking for management experience at Walt Disney World. Many of these programs were created to add authenticity to one of Disney's theme parks. As one travels around World Showcase at Epcot, the accents of the 'Cast Members' change to reflect the particular country's pavilion. For example, one will not hear a French accent in the United Kingdom's pavilion. This stems from a concept which Disney calls "Show" which is specifically related to ensuring that minor details are not ignored and guests are immersed in the illusion (or as Disney calls it 'the magic') when they visit a Disney theme park. 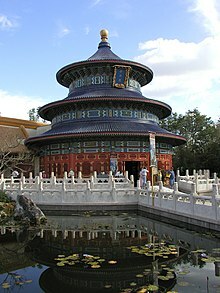 Over the years, several International Programs were operated and subsequently suspended, a new one was created for Disney's Animal Kingdom theme park and ultimately in 2004, all the Walt Disney World International Programs were combined into two new all-encompassing programs, namely The Walt Disney World Cultural Representative Program and Walt Disney World The International College Program. A new seasonal worker program has also been launched which initially required participants to have previously completed an International Program in order to be eligible, but this requirement was soon waived due to insufficient applications. Participants in the Cultural Representative Program (CRP) share their culture and customs with tourists visiting the Walt Disney World Resort over the course of a year living and working at the Walt Disney World Resort. To qualify for this program, applicants must "authentically represent" one of the countries or regions recreated at a Walt Disney World theme park or resort. This program lasts approximately one year. Participants in the International College Program – Summer Work Program (ICP) participate in a program similar to the Walt Disney World College Program's Summer Program. The program coincides with the participants summer vacation/holiday from their college or university. This program is reserved for students who are currently enrolled in an accredited college or university and are pursuing a three- or four-year degree. This program lasts between 2 and 3 months. Participants in the International College Program – J-1 Academic Exchange (ICP Academic) participate in a program which mirrors the Walt Disney World College Program very similarly. Students may spend up to a full year working at the resort while taking coursework through the Disney College Program and distance learning at their U.S. sponsoring university. Alternatively, students may spend five months studying at their U.S. sponsoring universities and seven months working and taking classes at the Walt Disney World Resort. This program is available to current students and recent university graduates. As the student is technically a student of their U.S. sponsoring university, the student may be liable to paying tuition fees and other university related expenses to that university. The H-2B Alumni Program allows participants to work at the resort as a seasonal employee while in the US on an H2B seasonal work visa. Candidates must complete their current program successfully with a positive rehire status and return to school for one semester in their home country before returning on an H-2B visa. The options for H-2B participants with regard to available roles are similar to those for the International College Program. During their interview, participants fill out a role preference sheet and can indicate by order of preference the type of role they would like to apply for. Participants in the Cultural Representative program may apply for several positions, including: attractions, food and beverage, guest relations, and merchandise. Interesting to note during the application process is that if successful, the applicant's employer may not be Disney but an 'Operating Participant', trading within Walt Disney World. Should one end up working for an Operating Participant, he/she will not be eligible for the same benefits as 'proper' Disney Cast Members, such as a Maingate Pass and he/she must also pay an additional $90–130 per week in rent. One will also not be entitled to the same health insurance and other perks such as Holiday Discount coupons or Trade Union support. Participants on the Cultural Representative Program will perform their roles in a location at Epcot's World Showcase, Disney's Animal Kingdom, Disney's Animal Kingdom Lodge, or a combination of them. Participants in the Guest Relations program will work in one of the four Theme Parks or at Downtown Disney. Participants on the Cultural Representative Program (especially those working at Epcot) will have different options open to them during their application process. For instance, Norwegian applicants may apply for a position in "Attractions" as an operator on the Norway Pavilion's 'Frozen' attraction. However, applicants from the United Kingdom may not apply for "Attractions" as the UK pavilion does not have an attraction. The exact location for non-guest relations positions varies according to the country which the participant will represent. Within the World Showcase at Epcot, there are eight independent participant companies that have contracts with the Walt Disney World Company. 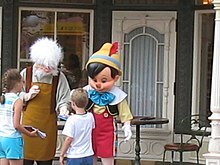 Participants working at Epcot as part of the Cultural Representative Program are considered an employee for one of these companies, though costumes (uniforms), name tags, et cetera are still issued by Disney. However, participants are employed and paid by the specific company which runs that participant's pavilion. As such, there may be some slight additions to the requirements for application relating to how and where to apply. During their interview, participants fill out a role preference sheet and can indicate by order of preference the type of role they would like to apply for. Participants on the International College Program are often assigned to roles based on seasonal need and may be rotated based on peak time operational needs. Participants on the International College Program may apply for several positions, including, but not limited to: attractions, characters, food and beverage, housekeeping, and lifeguarding. The locations and roles (positions) available to participants on International Program vary according to program and preference in that order. Participants in the International College Program may work in any of Walt Disney World's four theme parks, two water parks or numerous resort hotels. Participants are often rotated based on peak-time operational need and may be cross-trained as such from position to position and park to park. The International College Program is designed for students who are currently enrolled in an accredited college or university and are pursuing a three or four-year degree. Students enrolled in a vocational or two-year school are not eligible. Enrolled individuals must be between academic years and as such, the program will run during the participant's summer vacation. Program length can vary from two to four months but is typically around three months long. International Program participants are housed alongside College Program participants in gated-community apartment complexes which provide furnished apartments, transportation to work locations and local shopping complexes, recreational amenities and computer labs. Rent is auto-deducted from each paycheck. The complexes are The Commons, Chatham Square, Vista Way, and Patterson Court. A common misconception is that the housing is run by Disney, where it is in fact run on their behalf by the Lincoln Property Company starting September 2012. Participants can be housed in any of the four complexes, of which the participant will choose a preference prior to their arrival date. International programs participants used to be housed primarily in The Commons, however now are spread equally amongst the four complexes. Domestic College Program participants can opt out of Disney housing and instead find and rent their own accommodations. However this means they are not eligible to use the housing bus system to get to work. International participants are not able to live outside of the housing complexes due to conditions in their visas. To apply for the Walt Disney World International Program, applicants must contact one of the contracted in-country agencies that assist with International applications or the International Casting office with their CV (résumé) and cover letter. They will give more information and show how to apply from each individual country. Some countries hold a preliminary interview (usually by phone) before issuing an invitation to a scheduled Walt Disney World International Program presentation and interview. If you qualify, you should receive an invitation approximately four weeks before a scheduled presentation and interview. In some cases, the invitation is issued at the end of the phone interview. Presentations are held in a variety of countries throughout the year and all applicants must view the entire presentation before being allowed to participate in an interview. Presentations outline key components of the program and provide details on housing, work locations and roles, and visas etc. In some cases, applicants may have to travel (possibly even to another country) to meet with one of the recruiters from Disney Worldwide Services, Inc. All travel costs incurred to and from the presentation will be at the applicant's own expense. The Disney Learning Center offers self-directed computer classes that can be taken in the participant's own time, along with books and videos on various management and leadership philosophies. Participants can also sign up for various seminars similar to those offered on the Walt Disney World College Program. ^ "Dan@Disney". Retrieved January 23, 2012. ^ Disney Worldwide Services Inc. "Walt Disney World Resort Career Opportunities (How to Apply)". Retrieved December 30, 2005. ^ Disney Worldwide Services Inc. "Walt Disney World Resort Career Opportunities (How to Apply-All Other Countries)". Retrieved December 30, 2005. This page was last edited on 31 January 2019, at 15:25 (UTC).